May I be the first to wish anyone who wants one a happy 4th of July! Thankful for america. but more thankful for jesus. Happy fourth, from an American living in Canada. I miss the fourth of July. Still proud to be an American. What? Do Canadians skip straight from the 3rd to the 5th? Oh we still have a fourth of July, but it’s not a holiday. Here we celebrate Canada day on the first, and if it happens to fall on a Sunday, in order that the public “servants” get their extra day, it’s also celebrated on Monday. You need to go blow things up immediately. Happy 4th everyone! Have a safe one! I’m headed to Alabama to my still Fundy brothers home for a family grill out. Should be fun. There is hope for him–he doesn’t look down on those of us who have left the narrow-minded way. Hey! One of MY friends put that on Facebook too! HOW does this stuff get around so fast? I just yelled that at my neighbor’s Irish Setter. He fell over dead. Its all your fault. Dittos from this liberty lovin’ Virginian. Happy Independence Day, everyone. Be safe! 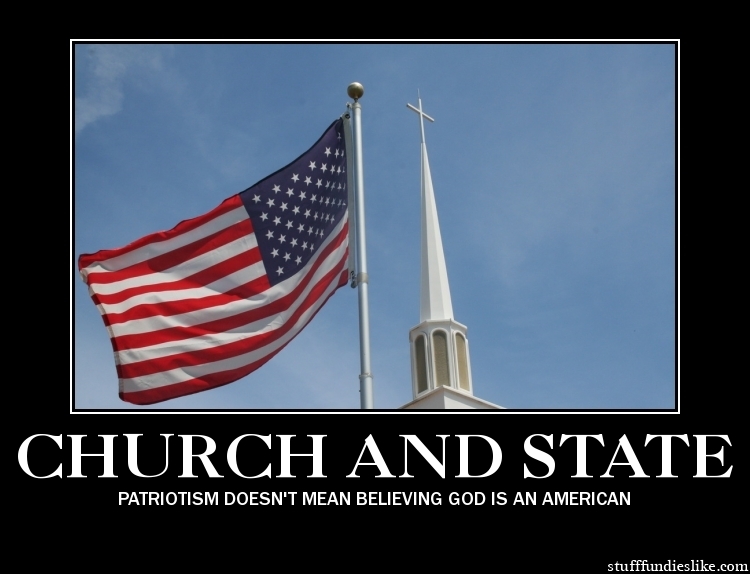 Wasn’t God the first American? Does the Great Spirit count? Thanks, Darrell… and to everyone else, may you have a great day, wherever you are. Happy Fourth of July everyone! Keep cool, relax, and just enjoy the beautiful day! Americans should be proud of the tolerant, civil and prosperous society that they have created (not perfect but better than 75% of the world). Personally, I think that the founding fathers (mostly deists) marked the high point of the enlightenment era. America was blessed by distance from enemies, an abundance of natural resources and good government. One wonders what would have transpired if the founding fathers were IFB morons?!! On a much less important note, Happy National Blow Stuff Up Day! Yay! Fireworks! We have a new-to-us dog, though, so I’ll be staying home with him to make sure he doesn’t freak out at the noise. Well, that, and it’s hotter than the hinges of Hell out there, and there’s a thunderstorm in the forecast. Happy 4th, everybody! No, God wasn’t the first American. He was the first African. Put that in your fireworks and blow it up! God made America. Until Obama, Clinton, or Carter get in office. Then its the throneroom of the devil.